You will see that electron orbitals look more like a fuzzy cloud of electron distribution without a clear boundary. 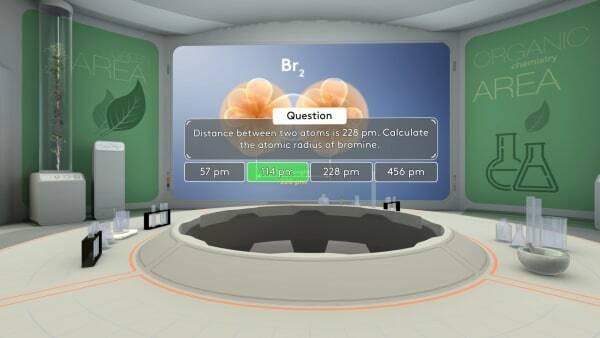 So how do we define atom size? 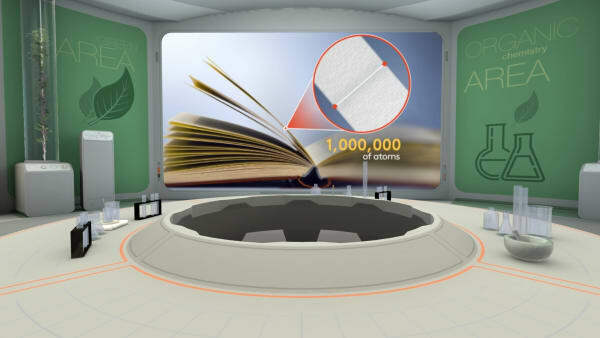 In this lesson, you will be introduced to several ways to define atom size. You know, that an atom is small, very small. How small is it? Look at a sheet of pa­per. 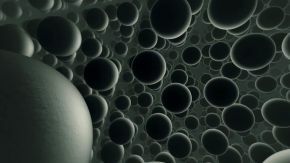 The thick­ness of it is one mil­lion atoms. 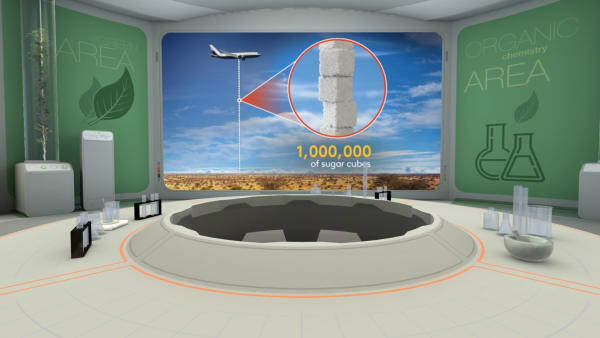 What is one mil­lion? 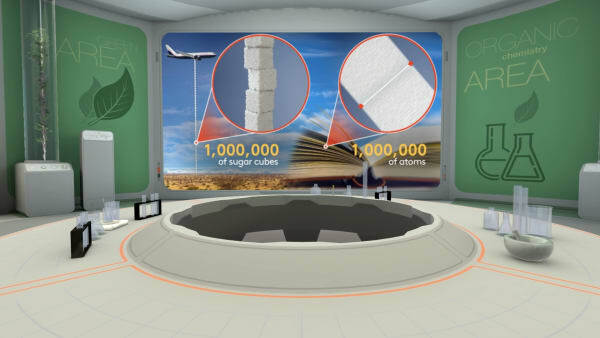 Let's take one mil­lion sug­ar cubes and stack them on top of each oth­er. We get a tow­er above 30 000 feet, that is high­er than com­mer­cial air­lines fly. 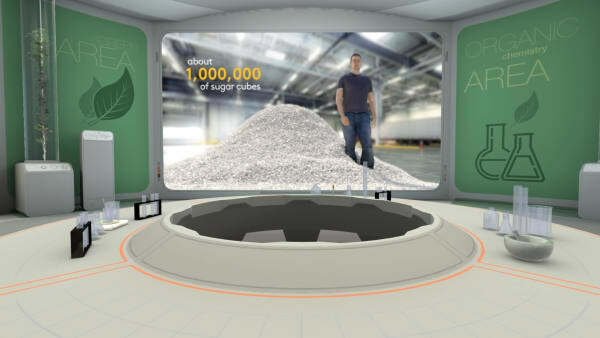 Com­pare: one mil­lion sug­ar cubes and one mil­lion atoms. 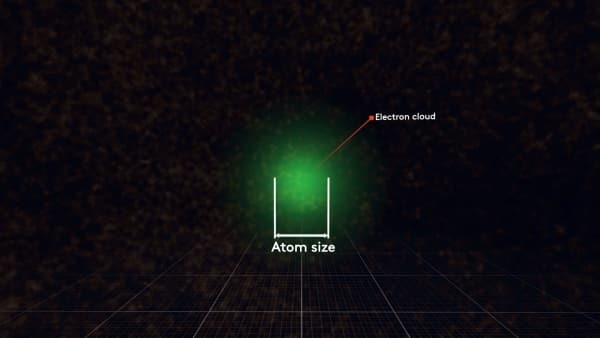 So atoms are very small. 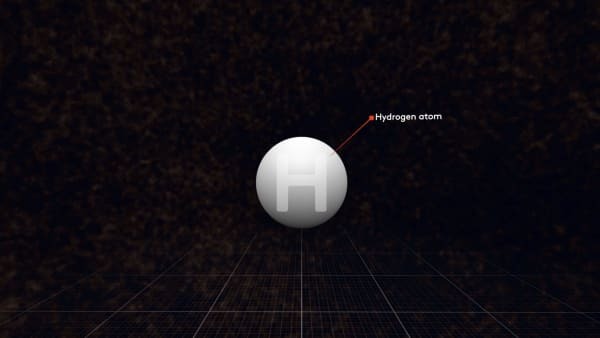 Let`s look at the hy­dro­gen atom. Here it is. Be­fore, we showed you atoms as balls. 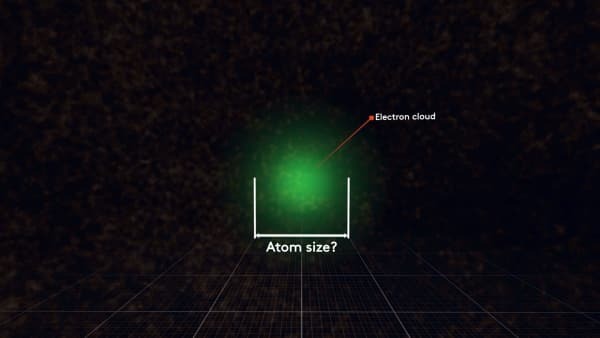 But in fact, atoms looks like a spher­i­cal cloud. Like this. 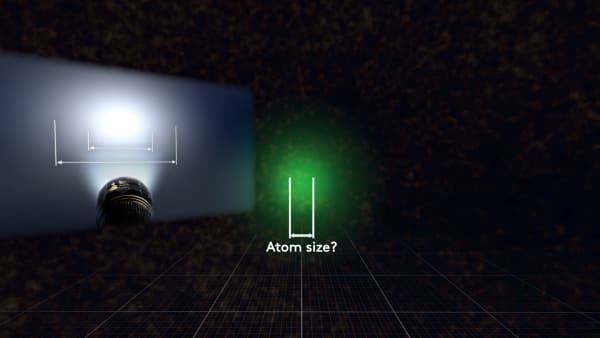 So how can we mea­sure the size of an atom? Let`s try. Maybe this is the size of an atom? It is a tricky ques­tion. It`s like try­ing to mea­sure the size of a light spot. What is the size of it? Sci­en­tists agree on how to de­ter­mine the ra­dius of an atom. We need two sim­i­lar atoms com­bined in one mol­e­cule. 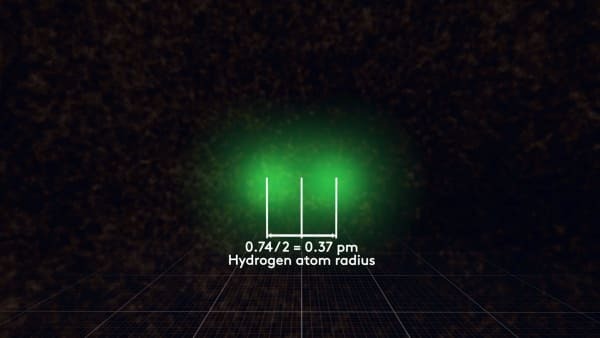 For a hy­dro­gen atom, it would be H2. Here it is. We mea­sure the dis­tance be­tween the nu­clei of two atoms. Then, di­vide it by 2. 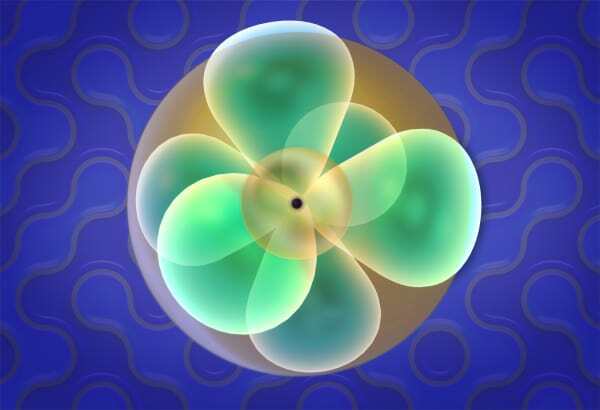 Fi­nal­ly, we would call this - ra­dius of hy­dro­gen atom. Dif­fer­ent atoms have dif­fer­ent atom­ic ra­dius. The small­est atom is he­li­um. 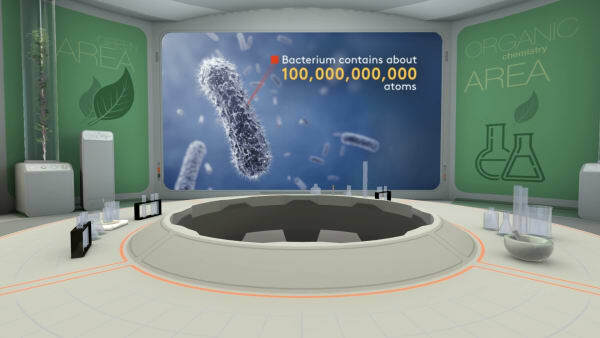 And one of the largest atoms is ce­sium. Now we go back to the lab. Some atoms ex­ist sep­a­rate­ly and do not form com­pounds. They are called no­ble gas­es. For ex­am­ple, he­li­um. 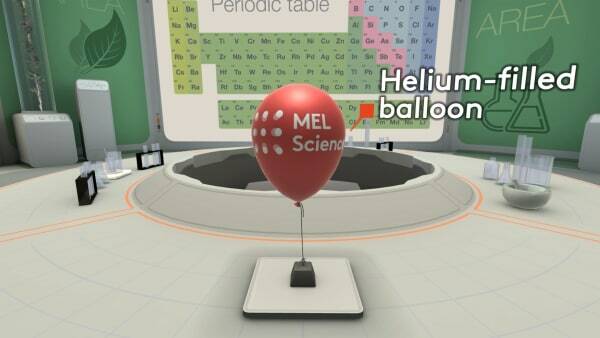 He­li­um in a bal­loon is a gas, con­sist­ing of in­di­vid­u­al atoms. For such atoms, the size can only be cal­cu­lat­ed the­o­ret­i­cal­ly. Bromine two is a real mol­e­cule. 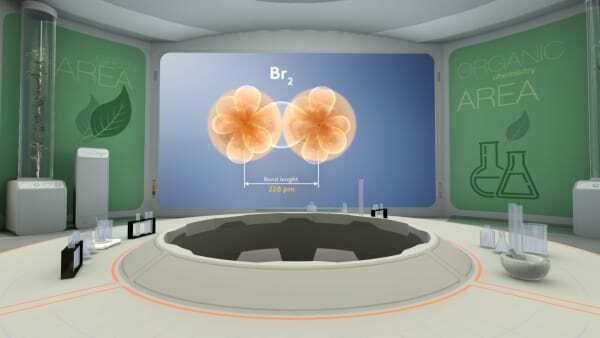 It con­sists of two bromine atoms. 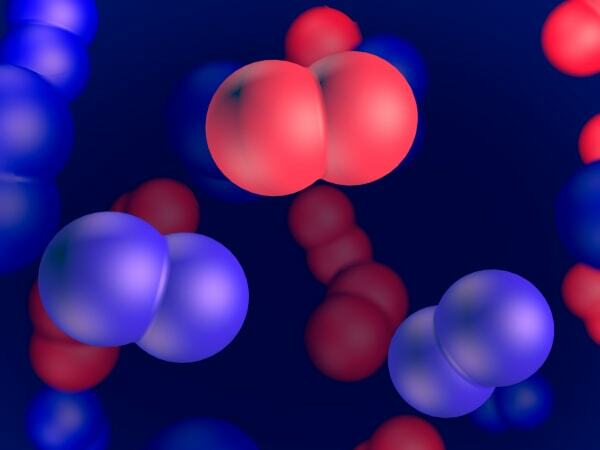 The dis­tance be­tween the nu­clei of bromine atoms is 228 pi­come­ters. 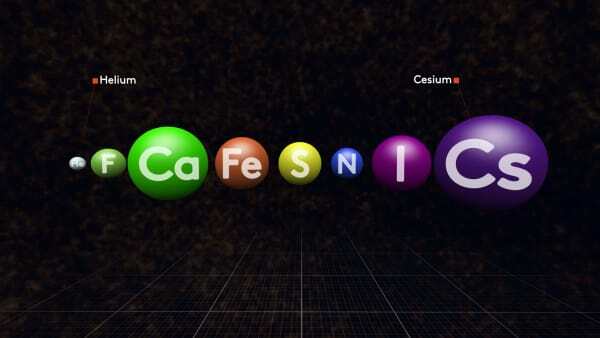 Cal­cu­late the atom­ic ra­dius of bromine atom. The aim is to give stu­dents a real-life ex­am­ple de­pict­ing that there are ob­jects that are hard to mea­sure be­cause you first need to de­fine what the size would be for them. This ex­am­ple asks stu­dents to mea­sure the size of a light spot from a torch. Put a torch in a stand rod, so that the light spot shows on the ta­ble sur­face. Switch off the light and ask the stu­dents to mea­sure the light spot. Com­pare the re­sults from dif­fer­ent stu­dents. Ex­per­i­ments to mea­sure the atom size: Rayleigh ex­per­i­ment with oil. Not ev­ery­thing can be pre­cise­ly mea­sured. 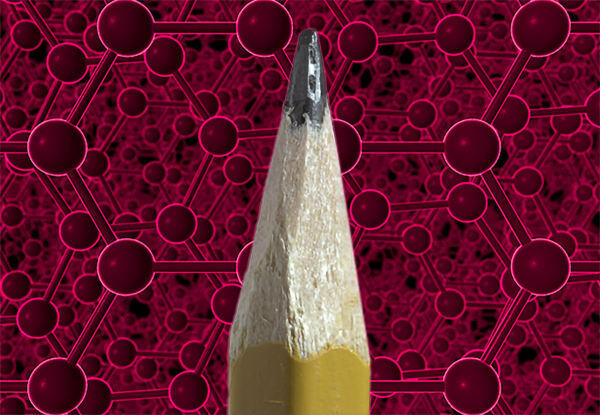 Dif­fer­ent ways to de­fine atom­ic size. The small­est atom is he­li­um. He­li­um was dis­cov­ered not on Earth but on the Sun. 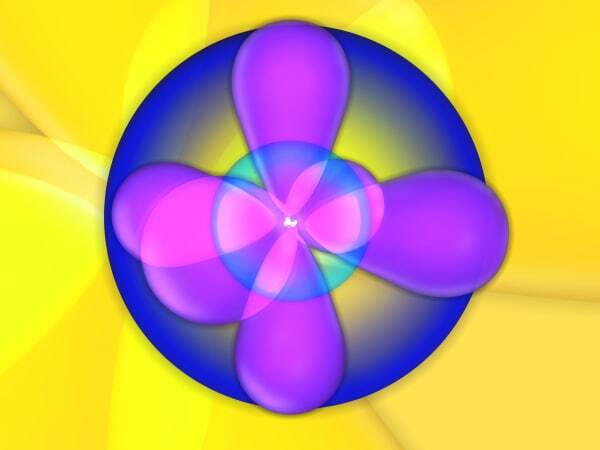 The largest atom is cae­sium, near­ly 10 times big­ger than he­li­um. Give an ex­am­ple of some things (not atom or light spot) that size is not ob­vi­ous. How can we de­fine their size? Cal­cu­late the ra­dius of hy­dro­gen if, in its mol­e­cule (H2), the dis­tance be­tween two hy­dro­gen nu­clei is 0.074 NM. Cal­cu­late the phos­pho­rus atom ra­dius if a chain of 1,000 side-by-side phos­pho­rus atoms is 200 NM.